The unit accommodates up to 6 people. It includes: main bedroom with ensuite, a fully equiped kitchen and dining room and a separate lounge area/second bedroom. 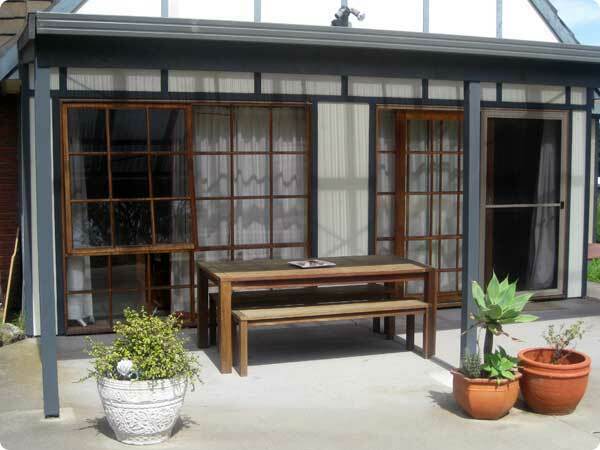 There is also an adjacent outdoor entertaining area. There are four studio rooms all overlooking the pool. A roll out single bed or a sofa bed can be added to any of the four studio rooms in order to accommodate 3 persons. 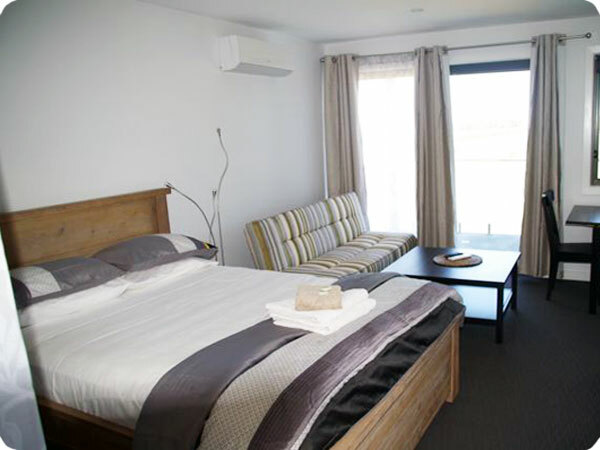 All rooms have an ensuite, kitchenette and a private balcony. Refer to the Tariffs page for more details.